HistoryHound 2.0.1 is a free update for all registered HistoryHound users. This release addresses several bugs and problems. If you already use HistoryHound, just download and install the new version — HistoryHound will preserve your license information. If you're new to HistoryHound, download it and give it a try. You'll be glad you did! Corrected window size and layout problems that occurred when you dragged the center divider all the way to the bottom to hide the web preview. Fixed the display of the Filters tab in the preferences so it is legible in Mojave's Dark Mode. Fixed a bug that resulted in HistoryHound not recognizing old Mac App Store licenses. Eliminated a crash that could occur at startup. 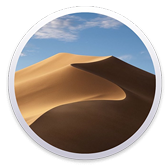 macOS 10.14 Mojave is now supported. Added support for Vivaldi and Brave Browser. Updated browser support for Firefox and Opera. Removed support for really old browsers like iCab, Rockmelt, Camino, Flock, Internet Explorer and Shiira. Page requests that are redirected to a login page are now detected and logged as errors. HistoryHound will not retry pages that could not be downloaded because of a 404 or 429 error. Fixed a bug that could result in HistoryHound repeatedly reporting that it couldn't create a search index file. Eliminated a crash that could occur when copying browser history databases. HistoryHound now requires macOS 10.9 or higher. Thanks for your interest in HistoryHound! Don't forget to try the other great St. Clair Software Products, including Default Folder X.